and Trick and Treat and Clementine and the chickens and Lucinda wish all our fair readers a very Merry Christmas, a Happy Hanukkah, a Festive Festivus and a real nice Sunday afternoon. Merry Christmas! 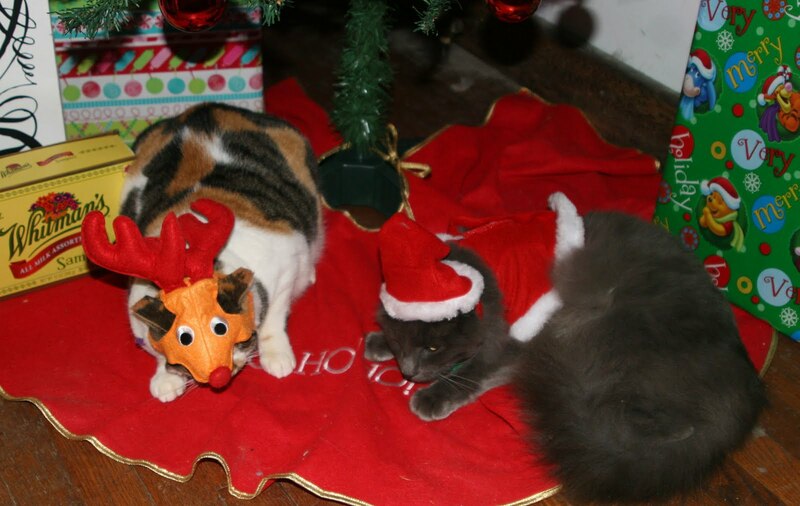 I'm very impressed that you got them to put up with wearing the festive costumes!